I had a couple of parts for an AR build, I set up an appointment with Jason to complete my build. Many great options to choose from. They charged me only $25 to put it all together. Then before we left we went out and ran 20 round through it to make sure all was in functioning order. Great experience. Highly recommend I will be back to purchase an AR pistol soon. Went to have a few guns examined & valued that I inherited. One of the best customer experiences I have ever had. They were very knowledgable and were straight up with their opinions on the history & the values. 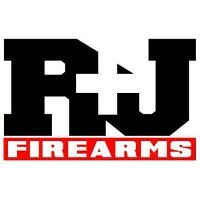 I would recommend R & J Firearms to anyone that is looking for a reliable, honest company to deal with. I have purchased several firearms and many accessories from R&J. Fantastic customer service and prices. Their selection is top notch, and if they don’t carry it, they can get it ASAP. Jason and Bob have a vast amount of knowledge on all platforms. Jason is TOP NOTCH on his builds! Can’t wait to have my complete R&J build done, for the husband. I cannot say enough about this shop and their talent and service. We are customer’s for life! HIGHLY RECOMMEND!! I’ve purchased 5 firearms from R&J and they are the only place I will go to purchase firearms in the future. Jason and Bob make the gun buying process enjoyable, they have great prices, great customer service and they will even let you know the cheapest route to go with regards to building a rifle or purchasing a complete on. By far the best customer service and product support in the industry. These guys enjoy what they do and it shows. Go check out R&J Firearms for your next purchase, you will not be disappointed. Another loyal customer. Went out there on a Saturday afternoon as I had seen Jason’s post on his new muzzle brake, “The Keg”. I had been looking for something unique for my .300 Blackout and decided that fit the bill perfectly. I told Jason what I was looking for so he offered up a try before I buy opportunity and got to shoot the 7.62X39 with the Keg installed. Needless to say it shot like a dream and did it’s job. I bought one and took it home as I didn’t have the rifle with me…Jason had offered to install it as part of the price. R&J Firearms looks and smells (gun oil and solvent) like a good gun shop should and the customer service is hard to beat. Needless to say I’ll be back again! Multiple purchases with R+J. Just got into my first AR because of their fair pricing and high build quality. Will be back again and again! R&J Firearms offer quality products, excellent customer service, and firearm buying experience you can’t find anywhere else. Bob and Jason have years of firearm expertise and offer quality builds to meet your needs and your budget, as well as, many quality retail products. I would recommend everyone drop in and see them and the wide selection of products they have to offer. Give one of their muzzle breaks a try…it is a game changer. Best gun shop in the Willamette Valley! Jason and Bob know their trade well…..very helpful and great customer service! Can’t be beat! Every review on this page contains a bit of B.S. Although I like Jason & Bob I can’t honestly give a 5 star rating across the board as everybody else here has done. Lets be real here. The selection isn’t all that great and the shop is often cluttered. My ratings will reflect that. Leaving bogus feedback as a fanboy won’t help any of these stores perfect themselves. Sites like this that offer us a chance to give the stores HONEST feedback in a social atmosphere is a great way to help the stores identify where they are doing good and where they could use some help. I shop at R&J and will continue to do so when they have the products I’m looking for. I made a post about honest reviews and got a thumbs down. Too funny. Just goes to show the dishonest character of people. I’ll probably get another dislike for this comment too. Oh well. I’m curious “Sniper Grey”, what product or service have you ever gone to R&J Firearms with and they were not able to fulfill? That surprises me. I have gone to them for many various needs and they have always gotten me what I wanted. I have purchased everything from my daughters first rifle to multiple handguns and rifles for my wife, to the many needs I have had. My needs are on the rather high end with rifles and optics, and Jason has fulfilled my every need. To call my review BS, I take offense with. And no, I was not the one to give your your review a thumbs down. They do not have a very large selection so when I went in looking to buy a S&W 686+ and a Ruger 10/22 takedown I had to go elsewhere. Could they order it? Sure they can but the question was about the selection which to me means guns on hand. Keith’s and Cabela’s have large selections that would actually deserve a 5 star rating. In fact I think I’ll go post reviews for each of them now. I stand by my comment whether you are offended or not. You couldn’t get a 686+ and a Ruger 10/22 take-down from a shop that specializes in AR platforms? And you’re disappointed? Bummer dude. Stick with Keiths or Cabelas. Better still try the Gun Room I’m sure the helpful gentleman there will help you with all of your unrealistic expectations. You can tell who the “A type” personalities are by reading these reviews. I’m not sure why Dave decided to be rude here but I absolutely have to side with Sniper Gray. The stock here is very limited even in their AR platform. If you’re going to call yourself an AR speciality shop then you should stock a nice selection of AR parts. R&J doesn’t do this and as far as guns go I didn’t see a single high end AR in the shop the one time I visited. Like Sniper Gray I have nothing bad to say about the place but realistically the shop isn’t worthy of a 5 star rating. Had a little trouble finding their shop yesterday, but was very pleased with their products and knowledge of various firearms. They took the time to explain different options available to me and their prices were in line with many internet vendors.